The first time I had to decide whether or not to take my son to the zoo was tough — one of those decisions you like to put off as a parent. Sure, parenting is all about making decisions – what to cook for dinner, where to send our children to preschool – but while some of those decisions are easy and fun to make, some are more challenging. My son, Elijah has grown up on a mostly vegan and all vegetarian diet. He is beginning to understand that there are certain things we don’t eat, but we haven’t gone too in-depth about his diet since he just turned three years old. Regarding the treatment of animals, we have always stressed to Elijah the importance of caring for and respecting animals, regardless of their size. Our amazingly patient and loving shelter mutt has helped tremendously with these lessons. Going to the zoo wasn’t even an issue until this past year when we moved to Philadelphia, which houses one of the country’s oldest zoos. Read on to find out what I decided to do when some friends invited us to visit the zoo. Growing up, my family frequented our fair share of zoos, but the last time I went to one was over a decade ago. Animal rights played a huge part in both my husband’s and my decision to become vegetarian (me at 10 years old and him at 15). The vast majority of animal rights activists believe that zoos are not the right place for animals and that the environments at the zoo are unhealthy and unnatural. 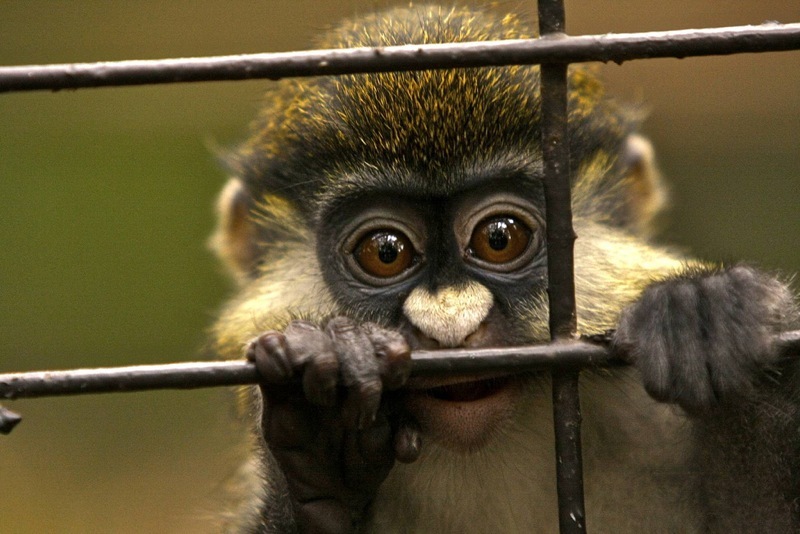 Unsurprisingly, PETA has a lot to say about zoos. I would have been fine never going to a zoo again, but I wondered if, for Elijah’s sake, I should revisit the situation. A few weeks ago, some generous friends invited us as guests to the Philadelphia Zoo. Their membership covered our tickets as well, so I figured that since we weren’t exactly supporting the zoo, it would be a good time to make a reconnaissance trip to see if things were better or worse than I remembered. We covered a lot of ground with our boys – we watched the sleepy lions, discussed the diet of gorillas, climbed on statues of bears. Elijah had a blast and honestly, I loved seeing how he reacted to each of the animals when he saw them. His excitement at seeing the animals (especially the larger ones, like the lions) was palpable. Since the last time I visited, the zoo had transferred the elephants to a larger facility in another part of the state, reportedly because the Philadelphia Zoo was not able to raise enough money for a new, larger elephant habitat. I view this as a definite step forward, but is it enough? I haven’t had any formal education on the needs of animals including diet or roaming habits, but some of the enclosures seemed woefully small, and I can’t deny the fact that an enclosure of any size is an ill substitute for roaming the wild. I also realize that the likelihood of zoos only keeping the smaller animals, the ones that they can provide ample space for, is slim to none. Polar bears, lions, giraffes: these are the animals that sell tickets, that keep families coming back for more, so it seems unlikely that they will be removed and given safe haven. In essence, I’m still torn. I do know this: Only a few of us will be fortunate enough to actually see these animals undisturbed in the wild. For the other millions and millions of kids in this country, going to the zoo may be their only opportunity to see these animals live. There are a growing number of animals sanctuaries in this country, which I hope will be a way for more children to see animals in a healthier, more compassionate environment. At present, however, many children, especially those living in cities, would find it difficult to visit. Does this mean animals should be kept at any cost in any condition at the zoo? Of course not. But I am sure that the zoo has inspired more than one child to become an animal lover, an environmentalist, a zoologist. Isn’t that worth something too? I also know that there are a ridiculous number of children living in Philadelphia who spend very little time outside, due to numerous factors including safety and a lack of green space in certain areas of the city as well as an obsession with computers and television. However imperfect, the zoo does offer a safe place where kids can get excited about the natural world. Of course, there are hundreds of zoos in the country, and some have squalid and completely unacceptable living space for the animals, while others mirror much of the landscape and temperature of the animals’ natural habitats. 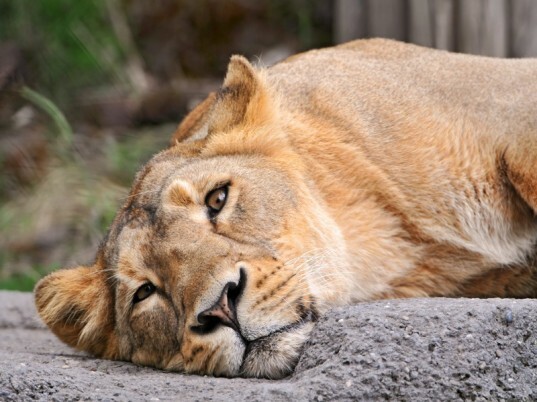 Some zoos are privately owned and are unconcerned with conservation, preservation and rehabilitation, while others make conservation a main concern and are constantly working to make improvements for the lifestyles of the zoo animals. To simply stop patronizing zoos seems unhelpful: not only are there are millions of people who continue to attend them, but animal rights activists would seem to be missing out on an opportunity for providing education and perspective. Their knowledge and passion could be used to help make changes and think of better, realistic solutions for animals’ care. It would be easy for us to say, “Animals belong only in the wild and should be free.” Unfortunately, as Jane Goodall said at a zoo a few years ago, “In an ideal world chimpanzees and monkeys would be out in the wild as they were intended to be. But in the real world, there are not so many places like that and they are getting smaller all the time.” Animals are being hunted for meat, run out of their natural habitats due to population growth or deforestation, or killed for their furs, hides, and horns. While I have no plans to take Elijah back to the zoo (in Philadelphia or elsewhere), I do feel that the issue, like the beloved elephant that has served as many a zoo’s mascot, comes in subtle shades of grey. 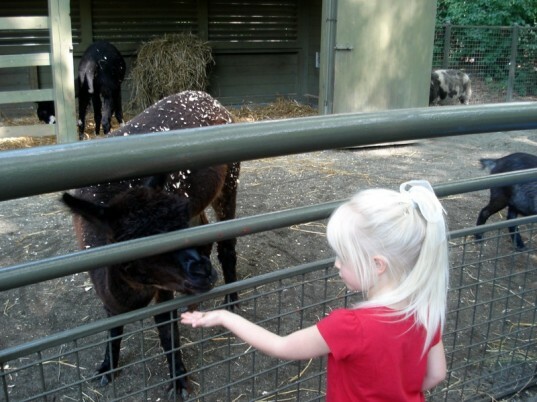 For some children going to the zoo might be only time they'll ever get to some animals. Not to mention, for some animals, the zoo is the only safe place left for them. I wouldn't impose my ethical dilemma on my children and risk denying them an opportunity to see animals they may never get to see again. The best that I can do is make sure the zoos treat their animals well. I am thinking this, yes, animals in captive are not how they should live or be. However, it is educational to people to see them and learn about them, Moreover, some animals are being hunted and treated bad in the wild, so some of them might be better of in a zoo. I think the people that work at the zoo love the animals and give them the best care they can. It's pretty clear that using an animal for entertainment is explotation and wrong. Life in a zoo prohibits an animal from doing so many things that are instinctive. All creatures seek freedom. Can we please stop saying "moms" when we should be saying "parents"? This isn't an ethical dilemma for just moms. it's for moms AND dads. I think zoos provide a good lesson - because of what we've done to the environment, zoos are some of the last places some species even survive. The animals should be in the wild, but some can't be anymore. Being able to see those animals and fall in love with them might be just what some people need to take the bigger lesson to heart and do something about it. The first time I had to decide whether or not to take my son to the zoo was tough -- one of those decisions you like to put off as a parent. Sure, parenting is all about making decisions - what to cook for dinner, where to send our children to preschool - but while some of those decisions are easy and fun to make, some are more challenging. My son, Elijah has grown up on a mostly vegan and all vegetarian diet. He is beginning to understand that there are certain things we don�t eat, but we haven�t gone too in-depth about his diet since he just turned three years old. Regarding the treatment of animals, we have always stressed to Elijah the importance of caring for and respecting animals, regardless of their size. Our amazingly patient and loving shelter mutt has helped tremendously with these lessons. Going to the zoo wasn�t even an issue until this past year when we moved to Philadelphia, which houses one of the country�s oldest zoos. Read on to find out what I decided to do when some friends invited us to visit the zoo.